Franklin Pasture encompasses the area surrounding Lewiston High School’s athletic fields. The Franklin Pasture Trail is approximately .5 miles long and begins at Marcotte Park behind the Colisee. The trail continues through Marcotte Park and a section branches off the main trail and heads to the back of Lewiston High School. 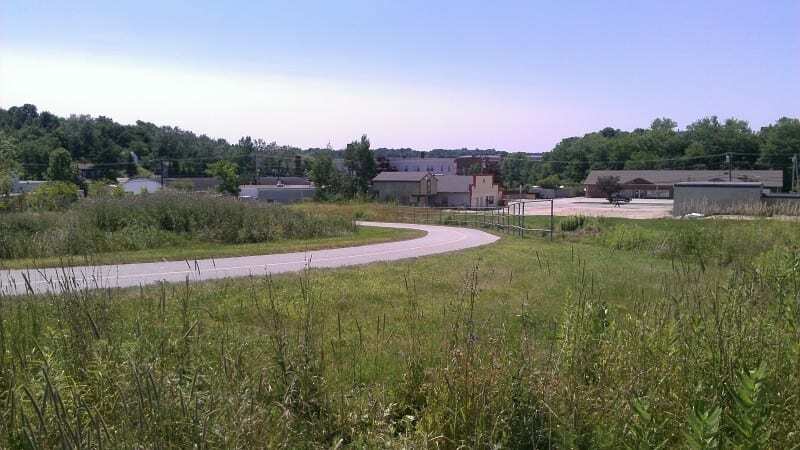 The main trail continues behind Longley Elementary School and then passes through a field and then ends on Bartlett Street. The trail is paved and perfect for rollerblading, scootering, skateboarding, biking. Lots to Gardens at the St. Mary’s Nutrition Center maintains fruit trees and berry bushes along this trail as an edible pathway traveled by many students on their way to either school. Directions: To access the Franklin Pasture Trail, park behind the Collisee on Birch Street. The trailhead is located just before the bend in the road.